Violas and pansies that you cut back last month will also provide cuttings. You can pot up fuchsias too that have been in used in hanging baskets. Keep them in a cool room with plenty of light – the conservatory would be good or a heated greenhouse. Cuttings of evergreen shrubs, pulled off with a ‘heel’ or cut closely below a joint can be inserted in sandy soil. You can help them along by covering with a glass lidded frame and keep them lightly watered. Dig over borders and plant new perennials, working in some organic fertiliser throughout the border. Divide older perennials like Sedum and Achillea. 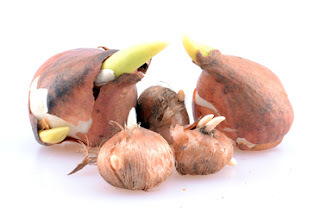 Plant bulbs and corms on fairly rich, well worked soil but not dressed with animal manure. They will, however, like a feed of bone meal in the preparation of the bed.